This month sees the launch of Polish For Tans from Models Own. This new range is designed specifically to enhance and compliment a natural tan. Polish For Tans comes in five neon-pastel shades including Bikini (Neon Pastel Yellow), Shades (Neon Pastel Pink), Beach Bag (Neon Pastel Orange), Flip Flop (Neon Pastel Green), and Sun Hat (Neon Pastel Hot Pink). 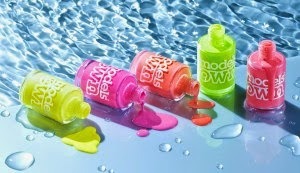 Models Own Polish For Tans is priced at £5 available at Models Own Bottleshops worldwide now, online at modelsownit.com and Superdrug stores nationwide from April 9 and Boots stores from April 16. Whitening Clapham and Skin Peel Treatment Battersea.